In Part 1 of the Year 12 English Study Guide, we discuss the purpose of the new Common Module: Texts and Human experience. We explain how to address all of the NESA rubric requirements and tell you what to expect in Paper 1. Worried about being among the first to study the Year 12 Common Module: Texts and Human Experiences? Don’t be! In this post, we’re going to take you through the new Year 12 Common Module and explain what you need to know to about the Module Rubric, the kinds of assessments you’ll face for it, and the sample questions that the NSW Education Standards Authority has put together. We’ll also give you a comprehensive understanding of what human experience is! What is the Common Module: Texts and Human Experiences? The Common Module is a unit of study for English shared by most of the levels of English. The Common Module forms the content of your first term in Year 12. All students in Year 12 will study the Common Module at the same time. The only students who will not encounter some form of Texts and Human Experiences are those studying English Life Skills. Students will be set one school assessment in Term 1 for the Common Module. The Common Module will also be the focus of Paper 1 in both the Trial HSC and the HSC. What’s the point of the Common Module? The Common Module explores what makes us human and the common experiences that we share. Focusing on an idea like “human experience” enables you to find reflections of your own experiences in the texts you study. In addition, using a universal idea like human experience enables all students to connect with the ideas in the texts set for study. It is far easier to analyse the concerns of a text if you can find aspects of your own emotional experience in the text. Now, let’s look at the Module Rubric to see what you need to do. The Module Rubric is the document that explains how you need to approach the study of the Common Module: Texts and Human Experiences and the texts for study in the Module. This document lays out all the objectives and expectations that you must address in your responses. To ace the Common Module, you need to understand what you have to demonstrate. This is presented in the rubric. In this common module students deepen their understanding of how texts represent individual and collective human experiences. They examine how texts represent human qualities and emotions associated with, or arising from, these experiences. Students appreciate, explore, interpret, analyse and evaluate the ways language is used to shape these representations in a range of texts in a variety of forms, modes and media. Students explore how texts may give insight into the anomalies, paradoxes and inconsistencies in human behaviour and motivations, inviting the responder to see the world differently, to challenge assumptions, ignite new ideas or reflect personally. They may also consider the role of storytelling throughout time to express and reflect particular lives and cultures. By responding to a range of texts they further develop skills and confidence using various literary devices, language concepts, modes and media to formulate a considered response to texts. Students study one prescribed text and a range of short texts that provide rich opportunities to further explore representations of human experiences illuminated in texts. They make increasingly informed judgements about how aspects of these texts, for example context, purpose, structure, stylistic and grammatical features, and form shape meaning. In addition, students select one related text and draw from personal experience to make connections between themselves, the world of the text and their wider world. By responding and composing throughout the module students further develop a repertoire of skills in comprehending, interpreting and analysing complex texts. They examine how different modes and media use visual, verbal and/or digital language elements. They communicate ideas using figurative language to express universal themes and evaluative language to make informed judgements about texts. Students further develop skills in using metalanguage, correct grammar and syntax to analyse language and express a personal perspective about a text. It’s not that easy to follow, is it? Don’t worry, most people struggle to make sense of this and understand what it means. Requirements: The actions you must take to demonstrate your understanding of the ideas and acquisitions of the skills. Now let’s look at these 11 statements and explain them to you in plain English. You will study one prescribed text and then several shorter texts that will be chosen by your teacher or department. You must study all of these texts and analyse how they represent human experiences. Based on your reading of the prescribed text, you will need to select a supplementary text. You will need to analyse this text and consider how the narrative and ideas it presents resonate with you and reflect your own experiences. You will need to draw connections between your understanding of the text, your experience as an individual, and the world at large. You must analyse and discuss texts from a range of mediums. You will not be able to study multiple texts of the same medium or form. For example, you must not study two novels, but rather a novel and a film. Now we’ve covered the requirements, let’s consider the ideas in the Common Module Rubric. Representation: The way ideas are portrayed and represented in texts, using language devices, forms, features and structures of texts to create specific views about characters, events and ideas. Representation applies to all language modes: spoken, written, visual and multimodal. Representing: The language mode that involves composing images in visual or multimodal texts. These images and their meaning are composed using codes and conventions. The term can include such activities as graphically presenting the structure of a novel, making a film, composing a web page or enacting a dramatic text. Complex language (examples of modern philosophers and linguists exploring this are Noam Chomsky or Jacques Derrida). Considering the ideas discussed in these definitions will help guide you through the analysis of your texts and their concerns. Bear in mind that just because Western philosophy has been prioritised, largely because of the nature, character, and history of English as a subject, it does not mean that other philosophical traditions should be excluded. Eastern ideas about human existence and other cultural or religious perspectives are equally valid and may also be worthy of consideration depending on the author and context of the texts you are studying. The other key term from this rubric statement is emotions. Emotions: You will be able to feel confident discussing and exploring this point because it is readily reflective of human experience. If you struggle with some of the more complex or obscure ideas associated with “human qualities,” you should start with this syllabus point by focusing on your own emotional experiences and understanding as this is a very accessible window into what it means to be human. 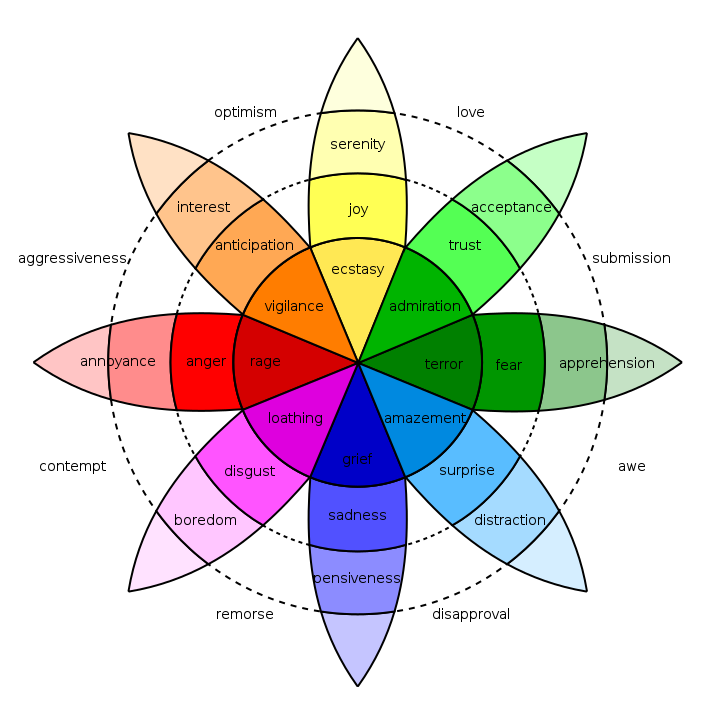 Plutchik’s Wheel of Emotion may help you visualise and interpret the emotional experiences you find in texts. The wheel provided below should help you engage with this concept as well as expand your vocabulary of emotional experience. You should familiarise yourself with the image below and see how different emotions are related. If you consider generic ideas like these you open the door to a virtually endless array of ideas concerning human experience. While these may be more accessible, it will be easy to be overwhelmed by the variety of conceptual approaches available. When you read texts, you are engaging with a composer’s ideas and insights into human behaviour and human motivations. In your study, you need to consider what insights the text gives you. Anamolies, paradoxes, and inconsistencies are good places to start as they illustrate the complex nature of being human. Think about it, we are often full of contradictory emotions and ideas. 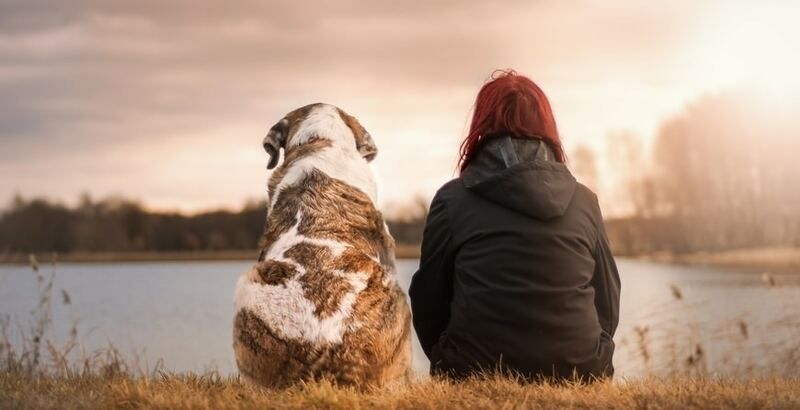 Being human can be hard at times, while it can be exhilarating at others. Anomaly n. something that deviates from what is standard, normal or expected. Paradox n. 1. A seemingly absurd or contradictory statement or proposition which when investigated may prove to be well founded or true; 2. A statement or proposition which, despite sound (or apparently sound) reasoning from acceptable premises, leads to a conclusion that seems logically unacceptable or self-contradictory; 3. A person or thing that combines contradictory features or qualities. Inconsistent adj. 1. Not staying the same throughout; 2. Not compatible or in keeping with. To nail this syllabus point, you will need to have a complex understanding of the characters in the text and their narrative arcs; the role of the narrator; and your role as the reader. You will need to contrast your emotional experience of reading with the emotions reflected and manipulated by the composer in the text. This rubric statement encourages you to consider how storytelling functions in humanity and your experiences of it. There are echoes of Year 11 Module A: Narratives that Shape Our World in this point. To understand this point thoroughly, it is essential to remember that texts are often narratives that retell earlier stories. This concept of metanarratives is illustrative of how human experience is often told and retold in similar ways with similar plots and events and often only the characters changing. The retelling of metanarratives are often distinctive parts of a culture and can be retold in numerous ways. Sometimes these narratives focus on events, such as cataclysms like floods. Other cultural narratives focus on important figures. Considering metanarratives is also a useful way of understanding how characters come to understand each other within narratives. Ask yourself, do these characters follow traditional narrative tropes such as the Hero’s Journey. An interesting contemporary cultural example of this is comparing the narrative of Moses in Exodus to James Mangold’s X-Men film Logan. In Exodus, Moses is a hero who leads the Israelites out of Egypt to the promised land. Whereas in Logan, the X-Men character Logan, otherwise known as The Wolverine, must make amends for his past mistakes by leading a young band of mutant slaves and survivors across a dangerous landscape to the promised land, Eden. As you can see, the story is very much the same but the narrative is very different and very much reflective of its time. Now you know what concepts you need to focus on and the ideas you must consider and discuss, let’s look at the skills you need to demonstrate. This tells you that you need to analyse texts to understand their content and see how the composers have developed their ideas. This statement describes the standard approach you should take to textual analysis. That is, read the text for themes and ideas, look for techniques, and discern how the composer has tried to convey meaning. If you need help with this, you should read this Part of our Guide to Acing HSC English: How to Analyse Your English Texts. A significant part of the new syllabus is a focus on personal reflection. Reflecting on your experiences of reading and studying texts will often challenge your ideas about the world, and even yourself. To do well in this Module, you must be receptive to the process of self-reflection and you must be comfortable writing reflections on your processes of study and composition. (If you would like to know more about this, check out our post on How to Write a Reflection Statement). This is telling you that you need to do more than just analyse techniques, structures, and forms in texts, you must be able to apply them in your own writing – both fiction and non-fiction. One of the challenging aspects of the Year 12 English Advanced Course is that it requires you to produce responses in a variety of modes. It is quite possible that you will be asked to produce a Multimodal Presentation or an Imaginative Recreation – accompanied by a Reflection Statement – rather than a traditional essay. This will require you to be able to write using a variety of registers and techniques, both rhetorical and literary. To do well, you will need to demonstrate your understanding of these techniques, structures, and forms through your confident and competent use of them. In your responses, especially your essays, you must discuss how these choices create meaning and shape the reader’s perceptions. Develop skills in using metalanguage. That is, the technical ways we can talk about texts, for example, narrator, focalisation, metafiction. In presenting these ideas, you must also consider and express your own personal perspective. They want to see your insights and understanding of the texts that you study! How will the Common Module be assessed? The types of in-school assessments for the Common Module will vary greatly between schools. The NESA sample materials suggest a two-part assessment. A creative task followed by a multimodal presentation that reflects on the production of the creative. It is unlikely that you will have an essay task set as an assessment for Term 1. However, the HSC Trial Paper 1 and the HSC Paper 1 will both include an essay on the core text. In addition, Paper 1 – for both HSC Trials and the HSC – will include a short-answer section. This section will require students to analyse a series of texts and answer a group of questions on them. The texts in this section can be visual, prose (both fiction and non-fiction), or poetry. The questions asked in this section will range from simple comprehension to detailed long responses. We’ll examine these questions in detail later in this post. If you want learn how to ace Paper 1 Section 1 for your HSC Trial exam and HSC, read our Ultimate Guide for How to Answer Common Module Unseen Questions. What texts will I study? You will also study some shorter texts chosen by your teacher and department. You will also need to study one supplementary text of your own choosing. You will not be assessed on the supplementary texts in the HSC. Included in the materials for the new English Advanced HSC Syllabus 2019-2023 is a sample Paper 1 to help students, teachers, and parents familiarise themselves with the new HSC assessment format. It will be worth 40 marks. Let’s take a quick look at what the different sections involve. Section 1 is a short response section. It will include several different questions totalling 20 marks. There will be a series of unseen texts that students must read and analyse in the 10 minutes reading time. The texts in this section can be visual, prose (both fiction and non-fiction), or poetry. An extract from Neil Gaiman’s fantasy/horror novel The Ocean at the End of the Lane. There will be between three and four questions (and possibly more). Two of these questions will be common to both Standard and Advanced. Use Text 1 to answer this question. Compare how each of the two posters creates a sense of shared human experience. An answer to this question will require you to offer a detailed analysis of the two posters. You will need to contrast the techniques that the different composers have used to convey meaning to the viewer. NESA has also provided a sample marking criteria and sample 4/4 response. Both posters represent the idea that despite our diversity we are united in our capacity to share and receive stories about our experiences through film. The Sydney Film Festival poster represents a collective emotional experience through its composition of the multicoloured symmetric figures that fill the frame and this is supported by the text, or tag-line, that reinforces a shared experience with the word ‘together’. 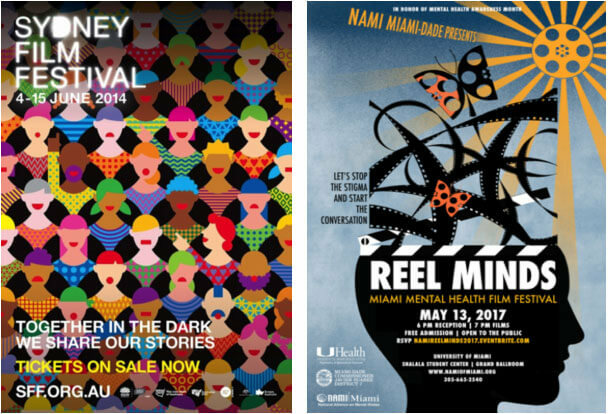 The Miami Film Festival poster centres the silhouette of a single figure with symbols of film reels revealing the interiority of the individual, suggesting the power of film to express private thoughts that can be illuminating when shared through stories. While the Sydney Film Festival image represents a collective experience and the Miami Film Festival represents the personal experience, both suggest that telling stories through film is a positive human experience. Makes a concluding statement connecting the two texts back to the question and Module. Clearly, to get 4 marks, you would need to present 3 to 4 examples and connect them back to the question. Then compare how these examples reflect the concern of “shared human experience”. The response would need to be structured with introductory and concluding statements. The symbol of the film reel and the colour yellow represent light shining on the open mind, suggesting the positive experience of sharing stories. The images of butterflies that represent freedom, supported by the text ‘let’s stop the stigma’, suggest the importance of sharing stories about mental illness. The bright colour palette of the Sydney Film Festival poster conveys the positivity of shared experiences told through film. There will be at least one question that is worth 6 or 7 marks. This response will require a structured miniature essay. The answer for the 6 mark question, for example, would be clearly structured and contain 250 words. We recommend taking the time to look through the whole paper to get a sense of what is required. If you want to practice your understanding and skills, we’ve got a Common Module: Texts and Human Experience practice Paper 1 you can download and try out for yourself. Once you’ve had a day to attempt it, we’ll send you through the marking notes and some sample responses so you can see how you went. Section 2 is more conventional. It will contain an essay question for your text. The question may include a stimulus and will possibly include an unseen text. director’s use of mise-en-scène in your prescribed text (Billy Elliot)? family in Past the Shallows. These questions will require a specific and detailed knowledge of your text. They will not be the kinds of questions that you can memorise an essay for and recite on the day. Writes a coherent and sustained response using language appropriate to audience, purpose and context. You to demonstrate a detailed understanding of the Module and the complexities of human experience. You must demonstrate your understanding of how these complex ideas are conveyed in the text you have studied. Your response must be logically structured and systematically answer the question. Your choice of evidence must be consistently relevant to the question. You must discuss your examples in detail and convey their importance to your argument. You need to produce a sustained argument. A sustained argument requires you to answer the question consistently and use signposting throughout to orientate your reader. Your response needs to demonstrate exemplary mastery of grammar and spelling. It is important to start thinking about essay responses and practising them early in the year. Just because you might not have an essay task for Common Module, doesn’t mean you can be complacent. You will need to produce a Common Module essay for your Trial HSC and you’re going to need to be on top of your short answer skills in readiness for unseen texts in both the Trial and HSC papers. If you need help with essay writing, or would like to know more about essay structure, sustained arguments, and signposting, then read our Beginner’s Guide to Acing HSC English. Need help with writing the Common Module Essay?